Grew Up… orphaned after a car crash when he was young. Caleb spent a year in the hospital following the accident and since then has led a somewhat lonely life. Visiting… the secluded private estate of Nathan Bateman, the CEO of the company Caleb works for. Caleb won a company-wide programming contest to spend a week with Nathan. The estate is located far in the mountains, and Nathan and his housemaid are the only people living there. Profession… programmer at Bluebook, the world’s biggest search engine. 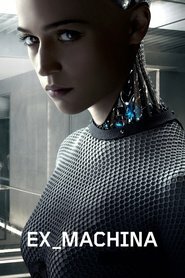 When Caleb arrives to meet Nathan, he learns that he has the chance to participate in a unique and fascinating experiment: administering the Turing Test to see if the AI that Nathan has built, Ava, is the world’s first true artificial intelligence. Interests… coding and technology. It’s a no-brainer that Caleb is passionate about coding and the tech world. In fact, that’s pretty much all that Caleb uses his brain for. Relationships… single. Ava, whether out of isolation or a genuine desire, wants to pursue a friendship with him – or perhaps something more. But right now, his role as a researcher on Ava’s artificial intelligence is Caleb’s top priority. Still, he has a hard time delineating the boundaries of their relationship. Challenge… balancing his role as a researcher with his conflicted feelings about Ava. Not just that, Caleb also has to navigate Nathan’s tempestuous and secretive personality. Nothing is as it appears to be, and the isolation and their ideological differences make Caleb and Nathan’s relationship fraught with tension. Personality… empathetic, hard-working, and intelligent. Although he is somewhat socially awkward, Caleb shows true empathy toward others, even to machines like Ava. He’s also incredibly smart and knowledgeable about computer science theory and developments in technology. Well-spoken and thoughtful, Caleb has a strong moral compass. Caleb's popularity ranking on CharacTour is #2793 out of 5,000+ characters. See our top-ranked characters and read their profiles.